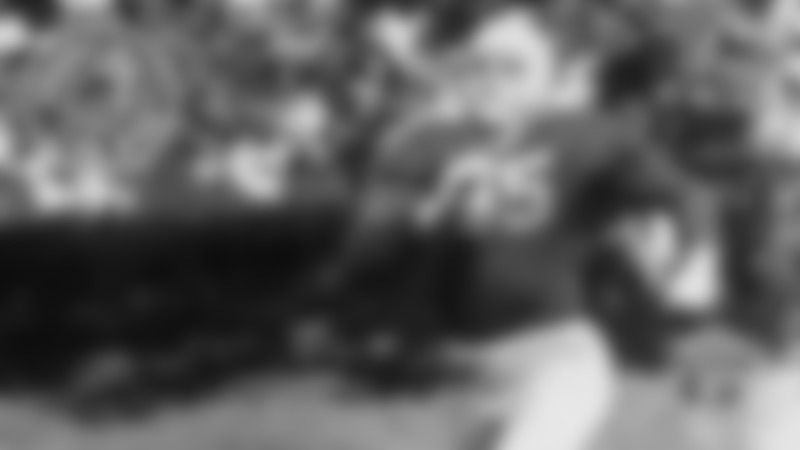 A Wisconsin native, Irv Comp intercepted 10 passes as a rookie, which is still the Packers’ single-season record, and also led them in passing when they won the 1944 NFL championship. Those notable achievements illustrated the athleticism and versatility Comp brought to Curly Lambeau’s last seven teams in Green Bay when one-platoon football was still in vogue. Offensively, as a rookie, Comp split time at left halfback with future Pro Football Hall of Famer Tony Canadeo. At the time, that was the position of the primary passer in Lambeau’s Notre Dame Box offense and Comp finished third in the league in passing behind two other future Pro Football Hall of Famers, Sammy Baugh and Sid Luckman. Back then, passing leaders were determined by an inverse ranking that used six statistical categories. In 1944, with Canadeo in the service for most of the season, Comp led the NFL in passing yards with 1,159 as the Packers finished 8-2. He also threw what proved to be the game-winning touchdown pass in the second quarter of the NFL title game won by the Packers, 14-7. Comp again led the Packers in passing in 1945 and ’46 before playing mostly defensive back in his final three seasons.  In 1947, when Lambeau abandoned his Box offense for a version of the T-formation, Comp moved to quarterback, but attempted only 50 passes in his final three seasons. Comp finished his career with 34 interceptions, the Packers’ career record at the time. He also passed for 3,354 yards and had another 963 yards on receptions and kick returns. “He was just a big, strong person and could run pretty good,” said Nolan Luhn, who played end with the Packers from 1945 to 1949. The Packers chose Comp in the third round of the 1943 NFL Draft. Actually, Lambeau signed Comp prior to the April selection meeting only to have the contract nullified by the league. Comp had graduated from Milwaukee Bay View High School in the spring of 1937, six years earlier, and Lambeau was looking to steal a small-school star who might have been off the radar of the other nine NFL teams. When league president Elmer Layden voided the deal, Lambeau knew his secret was out and stunned the league by drafting Comp with the 23rd overall selection. Comp played freshman football at the University of Wisconsin in 1937, but was declared academically ineligible and never played on the varsity. He tried to regain his eligibility in the spring of 1939, but failed and enrolled at St. Benedict’s in the fall. Over four seasons there, he scored on 10 runs of 60 yards or more and was named all-conference his last three. Located in Atchison, Kan., St. Benedict’s dropped football in 1963 and then resumed it in 1970, a year before the school changed its name to Benedictine College as the result of a merger.  Although most of the Packers’ draft picks in 1943 were forced to delay their pro careers until after World War II, Comp was rejected for military duty because he was blind in one eye.  He played in 69 games for the Packers and started 28, including 25 at left halfback. 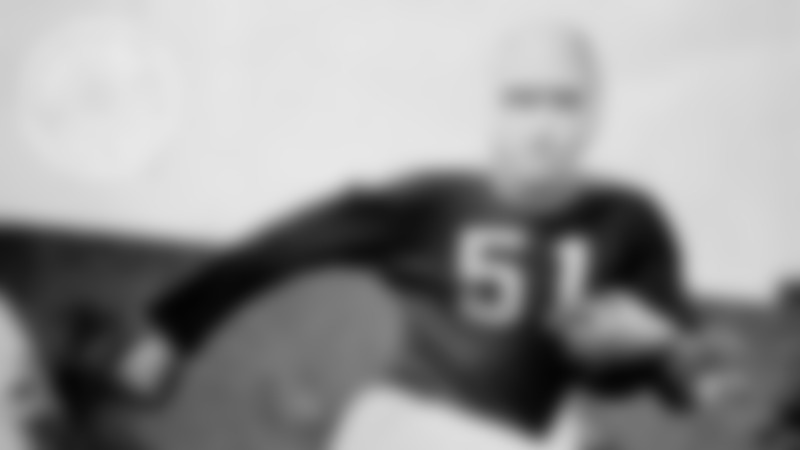 After injuring his knee and being placed on the Packers’ reserve list in November 1949, Comp retired following the season. Born May 17, 1919, in Milwaukee, Wis. Given name Irving Henry Comp Jr. Died July 11, 1989, at age 70.